Serious wine talk...for the not-so-serious drinker! Find the best price on any wine. Drink more, Pay less. Have fun with wine expert Marisa D'Vari as she takes you on her travels through the fine wine world, interviewing winemakers and introducing you to gorgeous wine regions around the world. BiggerThanYourHead gazes critically at the creating and preparing, the marketing and selling, the truth and the hypocrisy, the issues and the language behind what we eat and drink. So enjoy that next meal and glass of wine. Enjoy wine ratings, reviews, stories, and facts. BordOverview, is a price-quality overview of Bordeaux primeurs (vintages 2006, 2005 and 2004). Our Boston and New England focused wine blog! 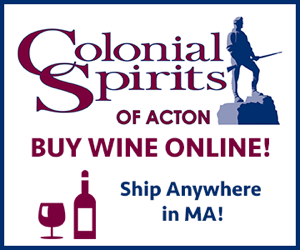 Featuring wine fun, information, and events from Boston and the New England area. Wine tasting classes, private and corporate wine events, holiday wine parties. Cheap Wine Ratings is all about finding good wine at affordable prices. The general rule of thumb on cheapwineratings.com is wines that are $20 or less. A website dedicated to Chilean Wine including wine reviews, producers, history, wine country, food, and a blog. A blog set inside the world of wine public relations – where the media, the culture, and I mingle. Wine tastings, thoughts, and occasional rambles from a pragmatic wine consumer. No scores, just sips. This is the blog of wine journalist Jamie Goode, online since 2001. Jamie is a Brit, who writes for several well-known English wine magazines and runs the Wine Anorak website, which offers excellent articles about wine travel, winemakers and wine tasting. Our primary blog! We share KWG Tasting Panel results, wine region information, winery coverage, and our thoughts on all things wine. Wine and Food events by city, worldwide. Spirits and Beer events as well. Post your own event or sign up to be notified when new events are posted to your area. Natalie is the author of Red, White and Drunk All Over: A Wine Soaked Journey from Grape to Glass. Natalie's website offers a free wine-and-food matcher. A great wine blog from an Internet marketing guy, who writes about the best food & wine that Long Island & New York has to offer. Sharing my passion for good food, sake, wine & spirits. Come join me and satisfy your hunger and thirst. 617-PATRICK, based in Boston, does speaking and consulting on Social Media and Google Ranking for companies that want to use Social Networking to increase sales. The "spirit" of this blog, is to succinctly express the essence of the wines I've had the pleasure to try recently. Square Meal is London's leading independent online and printed restaurant guide. They have just added a New drinks section. The crunchiest site on the interweb. Ray Isle is a Sr. Editor for Food & Wine Magazine. This is his wine blog. The Academic Wino is a blog dedicated to dissecting current research in enology and viticulture, and provides fascinating insights and thoughts on the current state of research related to wine. Vinography is about wine and food adventures in San Francisco and around the world. The Texas wine archive and blog from Russ Kane, wine aficionado, writer and naturalized Texan. Wannabe Wino chronicles wine tasting adventures as they drink their way through their ever growing collection of wine. Washington Wine Report is an focused on bringing Northwest wine to you and bringing you to Northwest wine. A points-free zone by Craig Camp. Madeline Puckette's Guide to simplify wine. Learn to easily navigate the wine world through unique articles, infographics, videos, and antics. The best wine tasting vidcast on the planet. Wine Peeps is an independent wine blog dedicated to helping you get the most bang for your buck in wine. This Blog is about this blog about Washington state wineries and wines.